How to Choose the Right Dance and Event Flooring? With so many dance and event flooring options available, it can be a tedious task to be assured that you are making the right decision. After all, it’s an investment in your dance studio, theater space, exhibit booth or touring production. 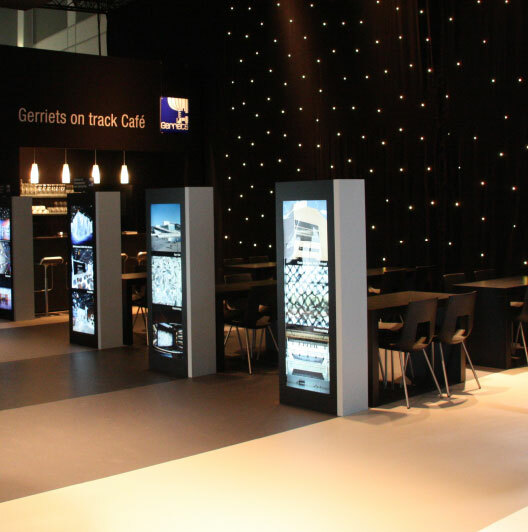 At Gerriets, we have been manufacturing dance and event floors for over 40 years. We introduced our VARIO Reversible Marley Dance Floor in 1975. Since then, it has become the standard in which all other Marley floors are measured. With our range of dance and event flooring products, along with our experience and application knowledge, you can be sure we will be there to guide you to the proper dance and event floor for your needs. Since the dance floor is often the largest surface one sees, it always makes a big impression. Visually, dance and exhibition floors come in a variety of colors, finishes and grip. They can be as stunning as a high-gloss red floor used in a haute-couture fashion runway show, as flashy as a silver metallic floor used in a rock concert or as simple and elegant as a matte-black dance floor used in a ballet performance. There is more to a dance and event floor than just its appearance . . .
One of the first considerations is to decide how the dance flooring will be used; permanent, semi-permanent or portable? Once you determine this, your choices become a little easier. Gerriets offers a large selection of dance and event flooring to meet the needs of students, hobbyists, budding basement ballerinas and professionals alike. To determine your needs, you may ask yourself the following questions about the use of your prospective dance floor. 1. Will the dance floor be installed as a permanent dance floor in a dance studio? 2. What is the anticipated daily or weekly usage? 3. What style of dance will the dance floor be used for? 4. What is the sub-floor surface the dance floor will be laid over? 5. Do I anticipate taking the dance floor with me if I have to leave my studio space? 1. Will the dance floor be installed as a semi-permanent dance floor in a home, dance studio, event space or retail store? 3. What type of dance, or other use, will the dance or event floor be used for? 5. How often will the dance or event floor be laid down and removed? 1. How often will the dance floor be laid down and taken up? 2. Will the dance floor be used as a practice floor for ballet? 3. What is the anticipated daily or weekly usage? 4. What is the sub-floor surface the portable dance floor will be laid over? 5. What type of dance, or other use, will the dance or event floor be used for? 6. Will there be heavy items rolling across the portable dance floor such as touring road cases or heavy scenery? Another important consideration is to determine the primary use of the dance floor. Will it be used for theatre or for dancing and if the latter for what dancing style? The needed durability of the dance floor will be determined by intensity of use – will your dance and event flooring be used solely for performance purposes, or also for strenuous practice purposes? Below you’ll find examples for different uses of dance floors. Dance flooring for different forms of dance have very specific requirements. For example, tap dance floors should have a harder surface that amplifies the sound of the tap. Ballet dance floors should have a limited slip surface that allows the ballerina’s foot to slide just the right amount. Portable touring dance floors are used for a variety of applications that require fast and easy installation and removal after the performance. This type of dance floor has to be durable to withstand the rigors of professional touring.Applications include touring professional dance companies, concerts tours and trade shows. These dance floors quickly lay out flat and are typically held together with the proper dance floor tape along the seams. Gerriets manufactures VARIO dance floor tape in several matching dance floor colors specifically manufactured for use on vinyl dance floors. Stage and Theatrical dance floors are multi-use flooring that can withstand heavy foot traffic as well as rolling scenery. These dance floors can also be scenically painted using vinyl acrylic scenic paints to enhance the overall set design. Exhibition floors are hard wearing floors designed for heavy foot traffic, but at the same time make a strong visual statement through color, print design and high-gloss, metallic or matte finishes. These dance floors are used in a variety of general use applications such as assemblies, large outdoor gatherings, special events and anywhere a large uniform flooring surface is required. When it comes to color and finish, Gerriets vinyl dance floors offer options for nearly every requirement. Single sided dance floors have a specific use or dance purpose. They are manufactured with the top surface in the color, finish and grip that makes them unique for their intended use. The middle layers may have a dimensionally stable interply layer or cushioned backing on the bottom layer for added comfort. Reversible two sided dance floors are available in many reversible color combinations and are used as a general purpose dance floors with many applications. Black, white and grey represent the staple color choices for most dance floors. These color combinations maintain a neutral color pallet and are available in all of our single sided and reversible dance floors. Color adds pizazz and wow to any performance or exhibit space. All of our dance floors are available in several colors, either as a single sided or two-sided reversible dance floor. Unique to Gerriets is our ability to custom manufacture a permanently colored dance floor in either a satin or high-gloss finish. 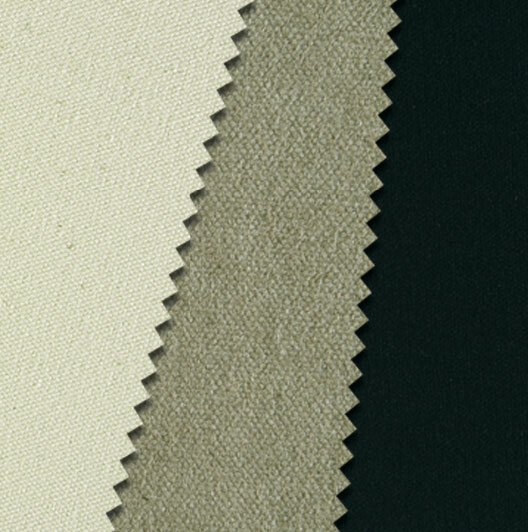 Available in 85 standard colors or matched to your specific color requirement. Metallic dance floor adds a glitzy sparkly shine to any event or performance. Whether it’s an elegant metallic gold event flooring or a silver metallic dance floor in a high-gloss or satin finish, or a reflective mirror special effect dance floor, we offer choices to satisfy most any desire. Matte-finish dance floors are typically used for traditional dance applications as they are manufactured with a controlled limited slip surface while high-gloss, or high shine, dance floors are typically used for stage, theatrical and exhibition uses. Unique to Gerriets is our ability to digitally print standard or custom design patterns onto our VARIO reversible dance floor using a durable UV ink process. These floors have been used for numerous theatrical, touring and dance applications. What is a Sprung Dance Floor and do I need it? A Sprung Dance Floor, or sometimes called a floating floor, is a floor system that is designed to absorb shock and soften, or dampen, the impact from dance movements such as jumping, tumbling, rolling and leaping. Dance is a physical activity and injury may occur. Contrary to their name, our Sprung Floors do not have springs, but rather elastomer pads that absorb energy to reduce injury to joints and muscles, thus creating a healthier, safer and more enjoyable dance environment. Our Sprung Floor system is designed to be installed as a permanent or portable dance floor on top of a sub-floor using a simple latch and lock device to secure the panels together. 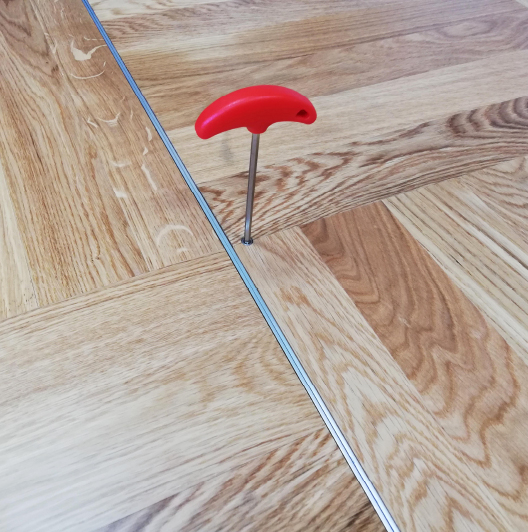 It is important that the sub-floor, that the Sprung Floor is being installed over, be completely level and free from protrusions such as nails, screws or staples. Our VARIO Ergo Dance Sprung Floor System is available in two standard panel sizes, 39” x 39” (1m x 1m) and 39” x 78” (1m x 2m), or can be custom manufactured to fit the exact dimensions of a studio space. 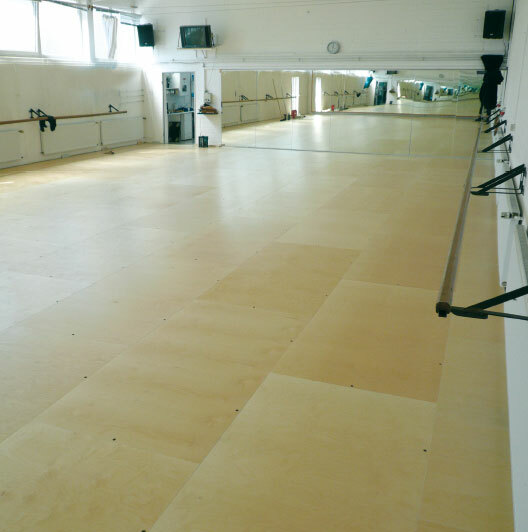 Consider using a Sprung Floor system if you want to provide a high degree of safety and comfort to your students, performers and instructors. VARIO Ergo Dance can be used in its natural maple wood finish or overlaid with a number of our vinyl roll out dance floors. All Gerriets vinyl Dance Floors are roll out dance floors. For proper unrolling and installing of your vinyl dance floors, please keep in mind the following instructions. With the proper preparation and techniques, our semi-permanent and portable dance floors will provide you with the fit, performance and look that you expect. As with any building or painting project, the correct preparation is absolutely essential for a quality finished product. It’s no different for installing a dance floor. It is imperative that the sub-floor surface be prepared correctly. We recommend that ambient air temperature be between 68 – 85 degrees Fahrenheit before and during installation. Our vinyl dance floors are manufactured from PVC which is an amorphous material that can be affected by atmospheric conditions such as temperature. Sweep and damp mop the entire sub-floor surface area. Remove all protrusions such as nail heads, screws, staples and any other sharp objects that will damage the dance floor. Fill and seal any and all cracks in the sub-floor ensuring a level continuous surface. Any inconsistencies will be prevalent in the dance floor and thus can possibly cause injury to the dancers or performers. In most cases, your roll out dance floor will arrive in full “master” rolls that need to be cut on-site to fit your space. Determine the length of your cuts. Generally, the floor panels run the width of the stage or longest length of the studio space, but this is not imperative. Panels can run the other direction with no effect on fit or performance. Begin by unrolling the dance floor, preferably in your space, to the panel length necessary. Before making your first cut, let the floor lay out and “relax” for 10-15 minutes. Carefully make your cut using a sharp utility knife and a continuous straight edge. The straight edge should be a little longer than the width of dance floor panel you are cutting. Please be sure that your cut line is square and that you have a protective layer such as Masonite or a laminate material underneath your dance floor before making the cut. Repeat Step 3 and 4 for each subsequent cut. After your dance floor panels have been cut and laid out, you are ready to secure the floor together as “one piece”. 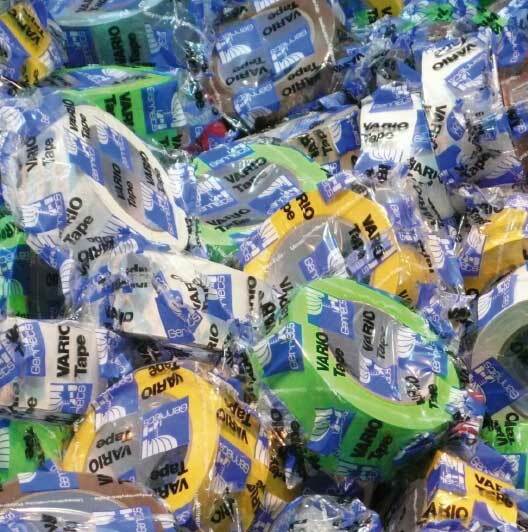 Top taping is a common approach to most touring and portable dance floor installations. Begin by using the proper dance floor tape with a vinyl adhesive as this will not leave a sticky residue behind when removed. We recommend using Gerriets VARIO Dance Floor Tape as this tape is available in all the same colors and finish as our VARIO Reversible Dance Floor and is guaranteed to work. Begin by positioning the first panel of dance floor, usually starting with either the down stage or up stage panel. Lay your next panel alongside the first panel making sure you leave approximately a 1/16” - 1/8” (1.5 - 3 mm) gap between panels to allow for expansion of the vinyl dance floor panels. Begin unrolling the VARIO Dance Floor Tape allowing the tape to relax a few seconds before applying to the dance floor seam, making sure you keep the floor seam in the middle of the tape. This will ensure adequate tape coverage on both layers of floor. You can also use our GAFFGUN Tape Applicator as a fast and painless method to apply any of our VARIO Dance Floor Tape or G-Gaff gaffer’s tape to tape the seams of the dance floor. Repeat steps 4 and 5 for each subsequent dance floor panel. After all seams are taped, tape along perimeter edges to maintain safe access and egress. For Semi-Permanent installations, top taping with dance floor tape is acceptable, but may need to be replaced frequently depending on the length of installation and frequency of use. A better approach is to use Gerriets’ exclusive Mesh Adhesive which is a 39” wide fiber reinforced double side adhesive formulated for use with our vinyl dance floors. It is meant for full coverage under the floor, not just at the seams, ensuring an even adhesion between the sub-floor and the dance floor. This will require two people to install it properly. Mark out the front edge of the dance floor (if using the downstage panel) or the back edge of the dance floor (if starting with the upstage panel) and both sides of the dance floor panel. This will be your guide to laying the first panel of the Adhesive Mesh. Roll up the dance floor panel once you have the area marked out. Unroll the Adhesive Mesh to fit within your guide marks leaving the protective paper on top. Lay your first panel of dance floor and align it over top of the Adhesive Mesh. Fold the dance floor panel halfway back onto itself, in the opposite direction of the Adhesive Mesh. Using both people, begin to pull back the top protective paper from the Adhesive Mesh and begin to fold back the dance floor panel over top of the mesh. Working in three to four foot increments makes this a manageable method. Continue this method the entire length of the dance floor panel. Now fold back the side of the dance floor panel onto itself that has no Adhesive Mesh under it. Roll out another length of adhesive mesh as done in Step 4, but aligning it alongside of the dance floor panel already down. Repeat Steps 5 through 9 for each subsequent dance floor panel. Another method is to use standard 2” - 3” wide double-stick tape on the bottom side of the dance floor. This will require two people to install it properly. Strike a line on the sub-floor the entire length of the dance floor panel side that will be seamed, using the floor edge as your straight edge. Fold the dance floor panel halfway back onto itself, along its length. Using the line you stuck in Step 2 as a center line, apply the double stick tape, keeping it centered along the length of the line, and keeping the protective top paper on the double stick tape. Using both people, begin to pull back the top protective paper from the double stick tape and begin to fold back the dance floor panel over top of the tape. Working in three to four foot increments makes this a manageable method. Continue this method the entire length of the dance floor panel. Repeat steps 4 and 5 for each subsequent dance floor panel. When finished bottom taping all dance floor panels, come back and tape perimeter in the same fashion. Gerriets will not warrant our vinyl roll out dance floors when installed for permanent applications using a vinyl liquid adhesive. Vinyl adhesives have been used and work, however long term installations may cause bleed through of the adhesive and discolor the dance floor surface as well as change the surface characteristics of the dance floor. We recommend adhering to the installation method above for Semi-Permanent applications. With regular simple cleaning and maintenance, your Gerriets vinyl dance floor should serve you for many years of performance enjoyment. It is important to clean your floor using Gerriets PVC Cleaner or another non-solvent based detergent at least three times a week in light duty applications and every day after the dance floor has been in use such as touring, stage and exhibition applications. Begin by using a soft micro-fiber dry mop to remove all surface dirt and dust. Vacuuming the floor will also work. Do not use an abrasive whisk broom as this may scratch certain floors. Using warm water and the proper concentration of the Gerriets PVC cleaner begin mopping the dance floor surface area and then let dry. Visually inspect the floor to determine if another round of mopping is necessary. For particularly dirty floors, you may have to increase the concentration of the Gerriets PVC cleaner. Finish cleaning by mopping with clean water and let dry. It is important to remember that cleaning and maintenance should be performed daily. Do not use any solvent based cleaners, alcohol, floor sealers or waxes of any kind on your dance floor. Do not use an abrasive broom or cleaning pad on your dance floor. Spot clean any dirt or grime immediately. When cleaning, only use Gerriets PVC Cleaner or a mild non-solvent based cleaner with warm water. Do not eat, drink or smoke while on the dance floor. Avoid using sharp objects or rolling extremely heavy items across the dance floor. It’s common for scuff marks to occur on vinyl dance floors. As soon as you notice a scuff, spot clean using a soft cloth and Gerriets PVC Vinyl Cleaner. Once ready to remove the dance floor, completely remove all tape and clean the floor as described in the Cleaning and Maintenance section. Remove all debris that can become trapped in the floor when rolling. Roll up each dance floor panel on a heavy-duty core at least 4” in diameter and strong enough not to crush or bend under the weight of the floor. While rolling, keep adjusting the edges so they remain straight with no “telescoping” effect. For long-term storage, we recommend wrapping each roll in heavy-duty plastic and storing them on the VARIO Transport Cart. This method allows the individual roll to hang and not rest under its own weight, which can cause an oval shape from its own weight, or other weight on top of it. By adhering to these guidelines, your Gerriets roll out dance floor will provide you with years of hassle-free use.